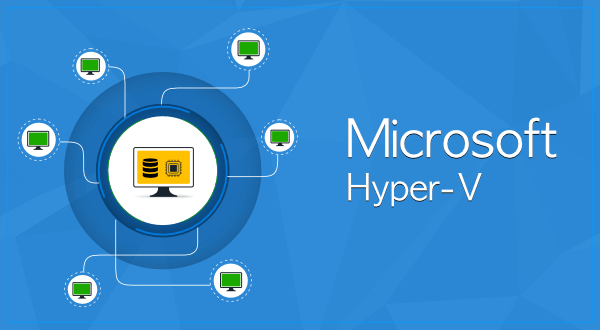 Many small and medium businesses are using Microsoft Hyper-V to virtualize their data center. With the latest release of Windows 2016, Microsoft has improved the hypervisor capabilities and introduced a lot of new features. Hence, it is now on par with the other sophisticated hypervisors and it certainly helps to increase the user base for Hyper-V. The IT administrators using Hyper-V environment for their hypervisor purpose are in need of a comprehensive backup solution to avoid the OS/Disk corruption and other disasters. It should be noted that creating a backup policy for the Hyper-V VMs is not a simple process. Although, Hyper-V itself has a snapshot functionality, it is not an option for backup. Also, the backup software available for Hyper-V backup are not performing well due to the lack of comprehensive backup APIs from Microsoft. Microsoft Hyper-V is becoming a tough competition to VMware vSphere ever since the Microsoft unveiled the free hypervisor alongside Windows OS. So, more IT Admins are attracted towards it by the new and improved functionality of Hyper-V. Vembu VMBackup for Microsoft Hyper-V provides faster and efficient backups with enterprise-level features for SMBs. With RPO and RTO less than 15 minutes, VMBackup provides faster VM recovery options which ensure high availability and business continuity.